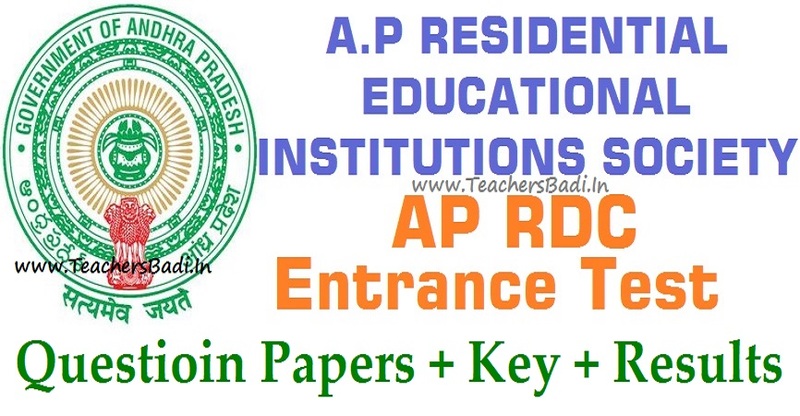 APRDC CET Answer Key, APRDC CET Results 2019, #APRDC CET 2019 #Results: Andhra Pradesh Residential Educational Institutions Society(APREIS) officials issued the APRDC Common Entrance Test 2019 Notification in February, 2019 and the AP Telangana REIS invited the online applications from the eligible inter passed students of both Telangana State and Andhra Pradesh State for admissions into I year regular Degree Courses B.A. (HEP), B.Com (General), B.Sc., (Maths, Physics and Chemistry) and B.Sc. (Maths, Statistics and Computer Science)Courses in its Residential Degree Colleges in Andhra Pradesh and Telangana States for the academic year 2019-2019. Eligible students were applied for this stream from 15-03-2019 to 10-04-2019, who were applied for this entrance test, they have attended the examination. This RDC Entrance Test held on May 10th, 2019 at all the district head quarters in AP. This exam was conducted in three streams viz BSc, BA, BCom and all for 150 marks and the test pattern is objective type and each question carries one mark.